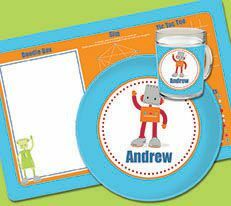 Personalized Stationery, Gifts, Note Pads, Custom Kids Plates, Teacher Gifts, Holiday Gifts and So Much More!!! Now that it's Spring, we're looking forward to warmer weather, Mother's Day, the end of the school year, and camp season. We've been busy creating new products for Mom, Grandma, Teacher and Camper. 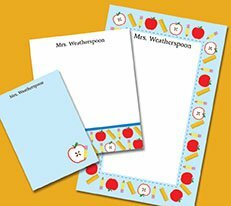 Show your appreciation to your child's teacher with one-of-a-kind personalized gifts. Order custom printed notepads and stationery for Mother's Day, and camp stationery and gear for your sleep-away campers. Don't see what you want? Just contact us, and we'll work with you to create something unique. When you put your heart into selecting a gift, it shows. That's why a personalized gift from Script and Scribble is so appreciated. Whatever the occasion, we have something to make it more fun and festive. Moms love our personalized stationery and stylish note pads ... one-of-a-kind designs printed on fine quality paper. Our gifts for kids include everything from adorable personalized note cards to clipboards, art journals and stickers that inspire their creativity. Show teachers how much you appreciate all they do for your children. Our teacher gifts are practical, memorable, and unique. Choose from melamine platters, canvas totes, handy organizer pads and to-do lists, and so much more ... decorated with whimsical designs and ready to personalize. Personalized clipboards for teachers are very popular, frequently used, helpful, and a great gift to give. Your family photo on any of our exclusive holiday cards makes for a more meaningful message, one that's likely to be kept and cherished. And, to jazz up your packages, we offer a huge array of personalized gift stickers, plus address labels that add cheer to envelopes. 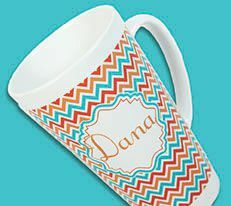 Find daily savings on special personalized gifts or stationery items. 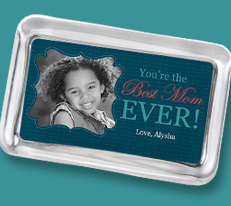 Looking for personalized Holiday gifts, custom printed cards & invitations, customized melamine dinnerware? See if what you’re shopping for is listed as a daily deal with big savings during this holiday season. Click here to view all daily deals. Need help designing the perfect holiday gift? Call us and we'll be glad to lend a hand. Join the conversation on Facebook and Twitter. And don't forget to pin your Script and Scribble favorites on Pinterest.